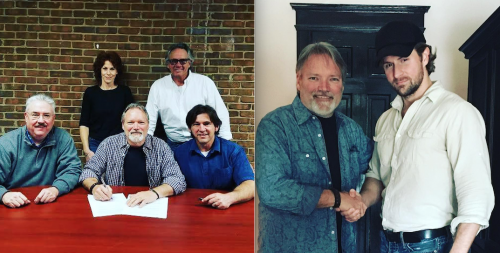 Nashville, Tenn. (May 13, 2016) - Grammy-nominated country music artist John Berry has signed on with Mansion Entertainment and Sony RED for project distribution as well as Absolute Publicity for public relations representation. Berry will soon release his first studio album in three years. "After my successful Kickstarter effort last fall resulted in the recording of my new album, What I Love The Most, I wanted to partner with a label that would really 'get it,'" says Berry. "I was very pleased when Mansion Entertainment and Sony RED stepped up and was excited to release it. They are focused and we are all looking forward to its June 3rd release." Berry adds, "I had heard of Absolute Publicity and I am friends with many of the acts they represent. So when my manager and label both suggested them I knew it would be the right fit. I am thrilled to work with Don and his team in promoting this album I am so proud of." More information about Berry's new album will be announced in the coming days. For more information on John Berry, visit www.johnberry.com.